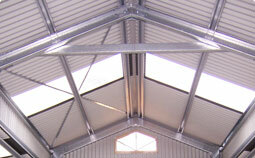 We Provide full engineered drawings, Our Service includes lodgement of council Applications. We Provide Experienced fully licensed Concreters to take care of all excavation and concrete works. 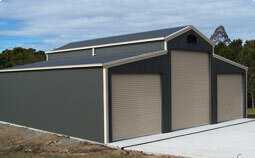 We provide our own Experienced and fully licensed build teams with exceptional attention to detail. 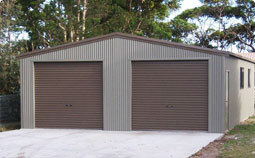 After completion, we hand over of keys to your new Shed, Barn or Garage. We would like to thank you for the wonderful job you have done in building our new shed. 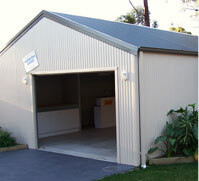 Southern Cross Garages were recommended to us and we are very thankful that we followed up on that recommendation. From start to finish we have found the whole process very easy and have appreciated your good advice throughout. The slab and shed have been constructed in a very professional manner and many of our friends are envious of our high quality shed. 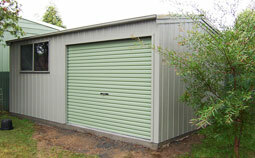 The family nature of your business and of some of the sub-contractors you use ensured a happy work place at all times. 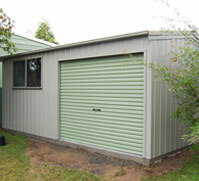 We will have no hesitation in recommending Southern Cross Garages to our family and friends”. After council approval the process was like clockwork, the kit was ordered and within days I was given a delivery date of when the material arrived in your factory. Tom poured the slab and did an excellent job. I have had many concrete jobs completed over the years. The finish was as good as I have seen. The kit was delivered to site the morning the build was due to start. Ben did a great job or the construction and made the windows and doors were exactly where I wanted them. He is a great asset to your business. The boys he has working for him were polite, especially Rhys. They left the yard clean and tidy free of rubbish. I would have no problems recommending you to others and wish you well in business”.